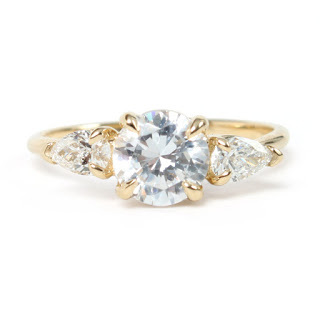 The basic elements of an engagement ring are commonly referred to as “Four C’s”: Cut, Clarity, Color, and Carat. Of the four, Cut is arguably the most considered since it directs the shape and design of the entire ring. Though the others also play a role in your decision, we always recommend focusing on the ring as a whole. Here’s our short breakdown of each ‘C'. You can look to our guide to engagement ring shopping for more info and tips. 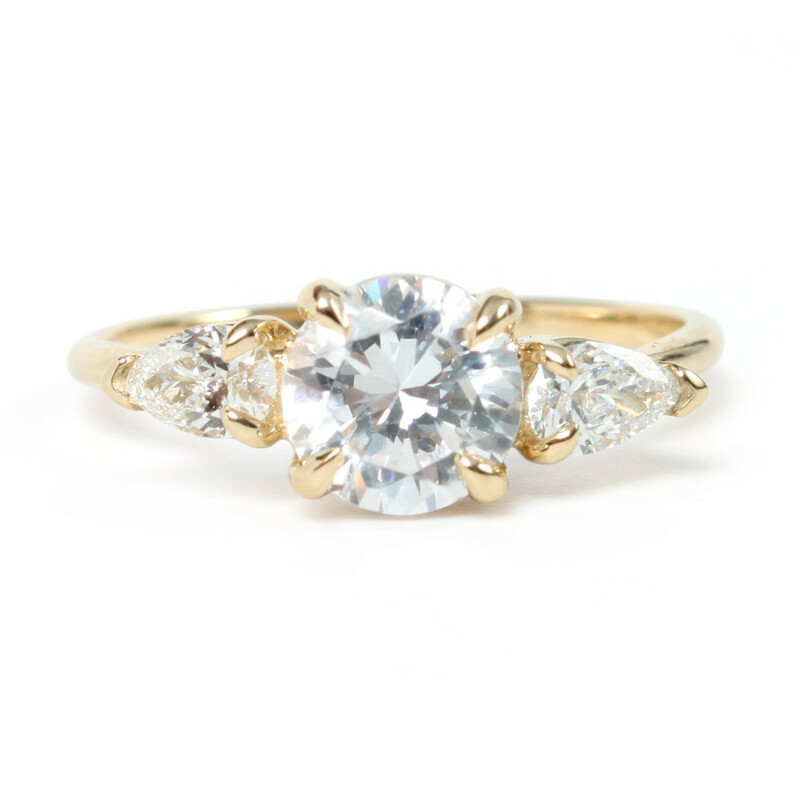 Or make an appointment at the Catbird Wedding Annex for a one-on-one consultation with one of our specialists. You can even make your appointment a surprise! “Cut” refers to the way the rough gem was sliced and faceted to increase its brilliance. Different cut names are a way of labeling different proportions and shapes. There are brilliant cut diamonds, rose cut diamonds, baguette, marquise, emerald, and pear cut diamonds... just to name a few. “Clarity” refers to how clean the stone is. All stones have natural inclusions which make them one of a kind, and there is a clarity scale in which they are graded -- from flawless FL to I3. Even white diamonds are graded on a color scale - there are many different hues of white. The scale runs from pure white to yellow (or D to Z). Carat with a “c” is the unit of measurement used to describe the weight of a stone. Keep in mind that carat weight does not always reflect the diameter of the stone (the stone could be taller or deeper than it is wide). Let’s take a closer look at a few of the brilliant cut diamonds we have in our current wedding offering, available online and at the annex. 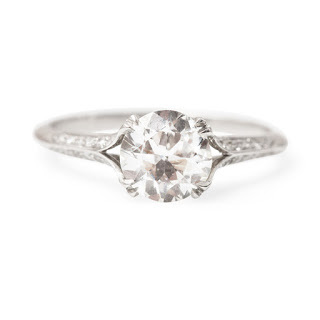 Juno is the only swan in our line of engagement rings that features a brilliant cut white diamond center stone. Shimmering and elegant, Juno is made by hand in our Brooklyn Studio. See full details here. 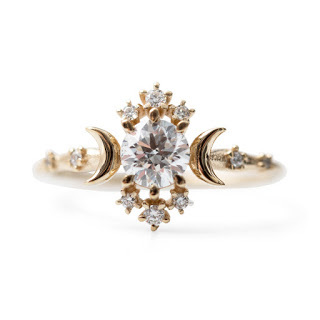 The Wandering Star Ring by Morphe is a white diamond engagement ring that dazzles - starry and sparkling like the night sky. See full details here. A masterful combination of vintage style with a modern edge, The Knife’s Edge Ring by Erstwhile is the epitome of brilliance. Handmade in New York. See full details here. Questions about the rings above? Email weddingexpert@catbirdnyc.com, we’d love to hear from you.